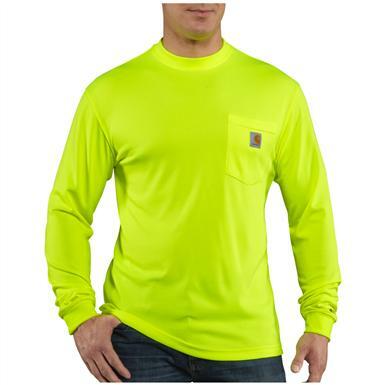 Mens Carhartt Force Color Enhanced High-visibility T-shirt, Long-sleeved is rated 4.5 out of 5 by 6. Rated 3 out of 5 by electro from Not safe for electricians This shirt is for summer use its breathable and light with a wicking feature. I needed a cotton shirt for electrical work. It's great for every other trade but mine. Rated 5 out of 5 by Dorite from Great quality, right fit. Great shirts, fit as expected,fastshippig. Rated 5 out of 5 by majog from great shirt I love this shirt. very soft and comfortable. Wicks sweat away from you and breathes real well. Keeps the bugs from biting you. Rated 5 out of 5 by TreeHugger from Great Value at a great price. 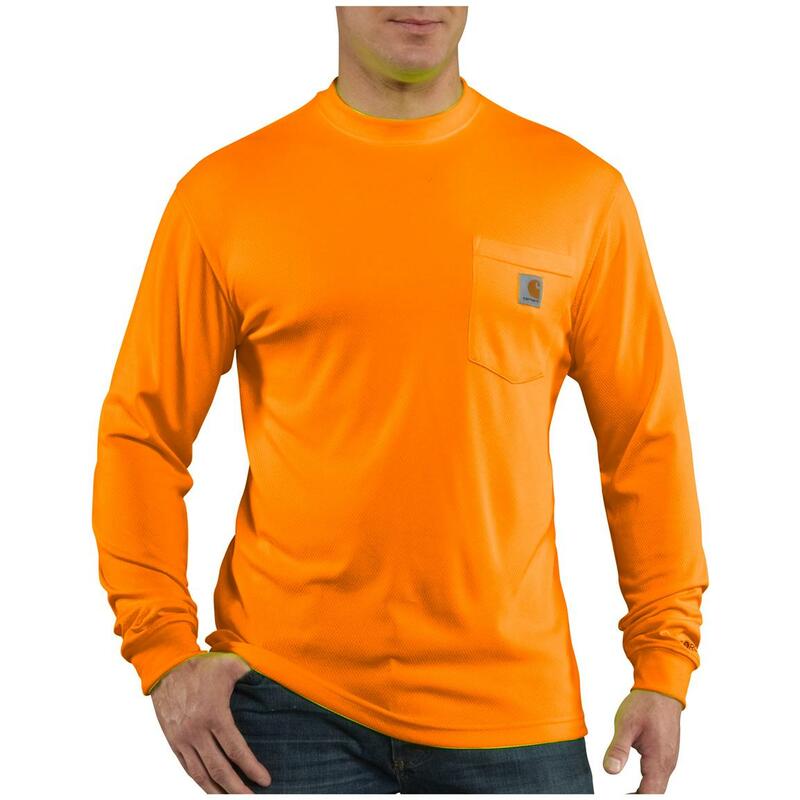 After looking in sporting goods stores for a long sleeve hi-vis tee shirt to wear while biking; I discovered this Carhartt at Sportsman's Guide. The material is light weight and am sure it wll do for biking even on the warmer days. The bike shops wanted $40 bucks for a similar shirt. Ha!The Large size fits me perfectly. Happy I found it.